For some reason, I don't own an apron but I'm a tad obsessed with them. They seem fun and stylish and I want one, I'm just not sure what I'd use it for? Perhaps that idea will come after purchase...I'd like to start with one of these please, made by American Native in Fayetteville, Arkansas. 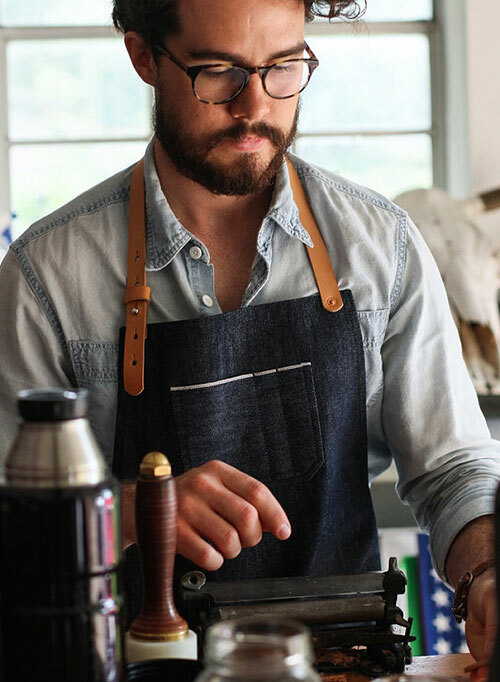 Each American Native apron is made with durable Cone Mills 12 oz selvedge denim that will help protect against your next art project or afternoon wood shop session. 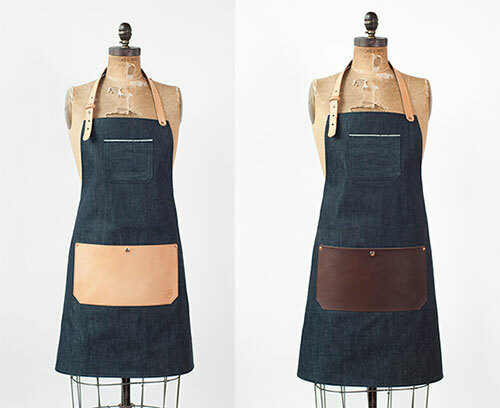 The aprons all have a wide leather pocket with copper rivets, available in either natural, butterscotch or brown. American Native was founded by two brothers, Bobby and Clayton Chamberlain who take great pride in crafting quality goods right here in the USA. See their entire shop, which includes leather bags, belts and wallets, here.